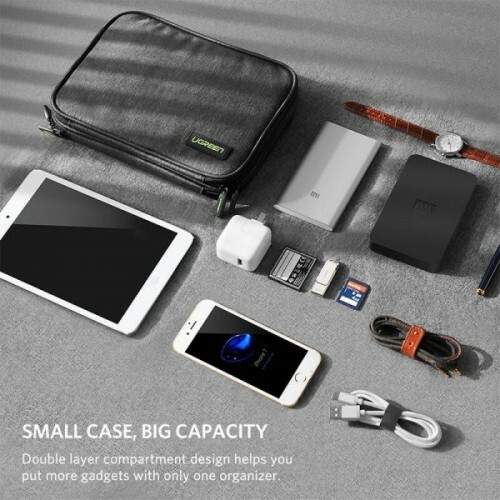 UGreen Storage bag is double layer huge capacity organizer and offers a best solution to place all electronic accessories in perfect order and in reach. 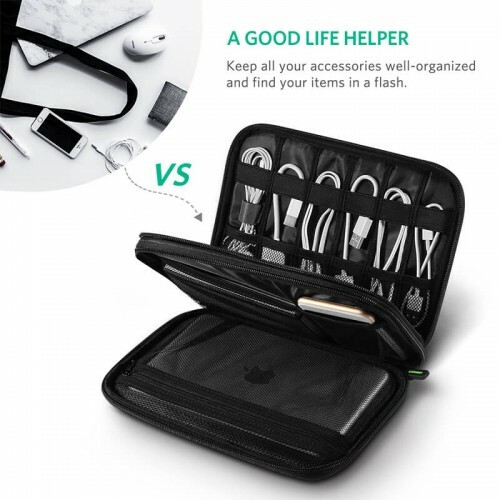 It has double layer huge capacity in first layer, 12 elastic loops for small items such as usb cable, earphone, flash drive, sd card, travel router and 1 mesh pocket with zipper for power adapter, small power bank, MP3 player etc. 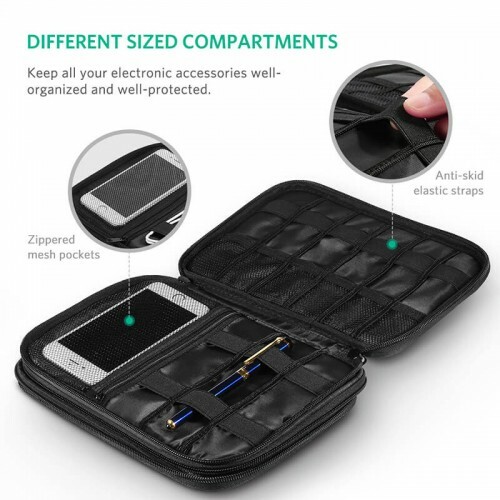 In Second layer, 2 mesh pocket for mouse, phone, external battery pack, power bank etc. 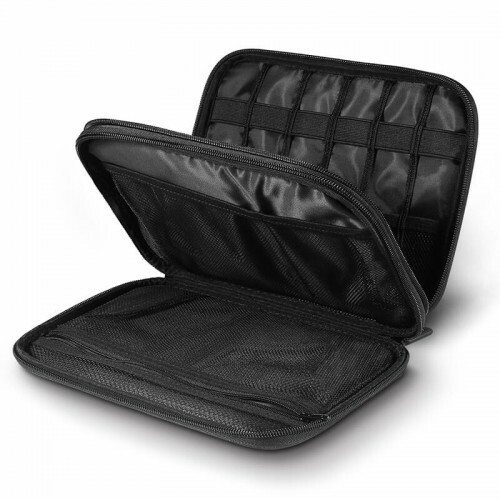 and 1 mesh pocket with zipper for tablet such as iPad Mini. Pls kindly note the size of the tablet should be less than 7.9 inches.The premium rubber elastic loop, linen and polyester fibers, mesh pockets can perfectly protect all your gadgets from falling and scratch.With size of 245 x 175 x 50mm and weight of 0.19kg, you can easily put it on your backpack, shoulder bag, suitcase. This storage bag has also Specification Material: linen and polyester fibers, Closure Dimension: 245 x 175 x 50mm and Capacity: Power bank, memory cards, cable, battery, charger, earphone, e-reader, etc.